M 631 x 1000px 2 Mb. L 1261 x 2000px 8 Mb. XL 1766 x 2800px 15 Mb. 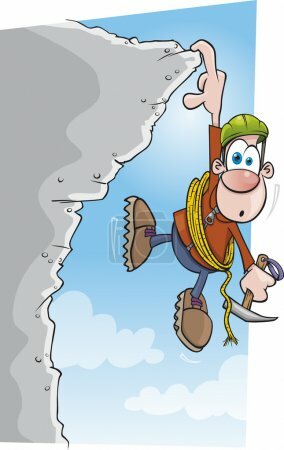 A cartoon rock climber hanging right on the edge of a cliff.